What would your perfect climb look like? A 5.9 multi-pitch route in a remote area of the world with some of the best people I've ever met. What do you look for in a climbing partner/mentor? Someone who is driven as well as encouraging. Someone who doesn't take things too seriously. Someone who believes in me and allows me to believe in them. Where did you learn to climb how did that influence you? Carder Rock in Great Falls, Virginia and the Sport Rock Climbing team... but where I really fell in love with climbing was Vietnam. I worked as a guide for Asia Outdoors (formerly Slo Pony Adventures). The job gave me exposure to people who really loved this weird sport. It got me outside and it got me scared and elated and amazed. We bonded as a team in a way I've never experienced before. I've been chasing that feeling and that experience ever since. Nothing will ever measure up and maybe that's ok.
Why are you an AAC member? Being an AAC member lets me connect to climbing on a larger level. My membership supports grants that help others live their dreams and provides countless opportunities to meet climbers from all over the globe. Most importantly, I get to be part of a national voice that speaks out on behalf of climbers. Together we’re stronger— I believe deeply in this. What has climbing taught you about life? Life is full of adversity, climbing teaches you how to deal with it. What is one way you give back to the climbing community? I’m proud to be part of the Philadelphia Chapter of The American Alpine Club. We have been putting on fun events aiming to connecting climbers in our area. While the pursuit of climbing is individual, we are all supported by the bedrock of our passionate community. I have so much love for the climbing community. I grew up reading about the adventures of explorers such as Roald Amundsen, Sir Edmund Hillary and Reinhold Messner. Along with the spirit of exploration and adventure, I have always had an immense love and admiration for nature and the outdoors, especially rocks, mountains, snow, and ice. Climbing is the one activity where my love for adventure and exploration combines with my love for the outdoors. To me, climbing is both a mental and spiritual rejuvenation session, as well as a physical challenge. It is a medium that provides self-actualization and makes me want to be a better version of myself, which is why I climb. How has the AAC changed since you became a member? When I became an AAC member, there was a no San Diego chapter. Since then, I think AAC has worked very hard to create more engagement opportunities for new and experienced climbers. There has been a strong push to develop and promote regional chapters, which are in turn putting together various events in their respective regions. The AAC Live Your Dream Grant also helped encourage and promote climbing, and I’ve noticed more AAC conservation efforts and partnerships. What’s one way you give back to the climbing community? I give back to the climbing community by encouraging, coaching, and climbing with people who are passionate and aspire to learn about various forms of climbing. I do this with our chapter clinics, the Heroes Project, and Outdoor Outreach. In the San Diego chapter, we teach the Gym to Crag, Intro to Trad Climbing, and Intro to Ice Climbing clinics. The Heroes Project empowers injured war veterans through physical and emotional training with expedition level climbs, and Outdoor Outreach provides an avenue for underprivileged youth get outside and learn about climbing. I am a big believer in partnerships. 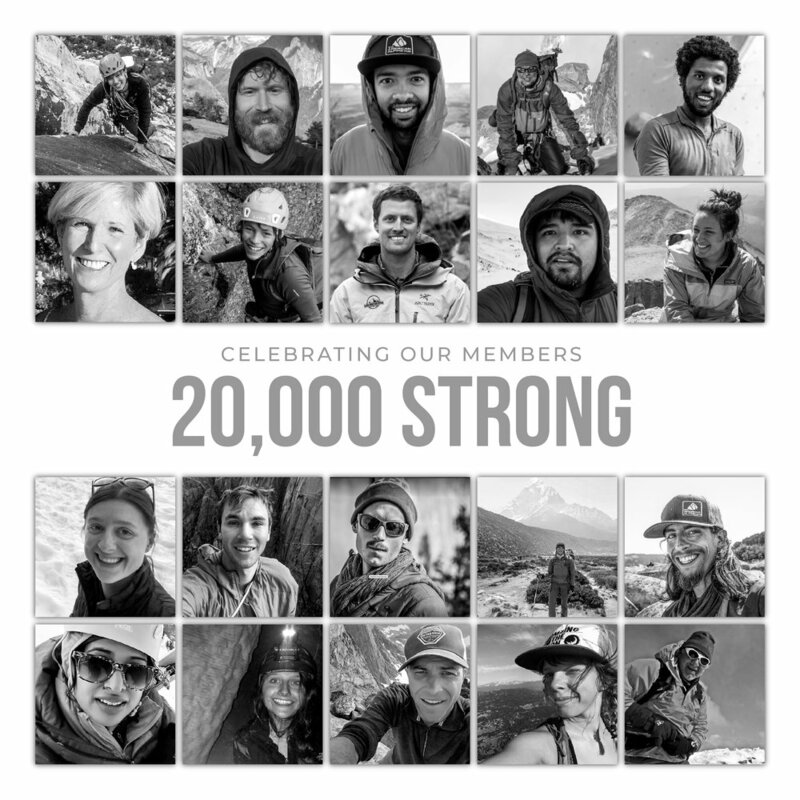 Not only does the AAC celebrate climbing partnerships, it is also a critical member of a bigger community: the outdoor industry. By being a member of the AAC the needs of my climbing partners and I can be amplified. It is critical that climbers are partnering with all the groups out there that can have a direct impact on our sport. Where did you learn to climb and how did it influence you? I learned to climb in New Jersey. And if you can climb there then you, too, can climb K2 (or Everest or the Matterhorn or Alpamayo). What's one way you give back to the climbing community? Well, I am pretty lucky as I founded a guide service then a climbing gym company. Earth Treks has not only taught hundreds of thousands of people to climb (filling their souls with all the goodness of climbing), but we've used the power of our community to fund various non-profits and other super cool initiatives. We've raised over one million dollars for cancer research and crusaders, as well as hundreds of thousands for non-profits like Big City Mountaineers, Paradox Sports, the AAC, and the Access Fund. Climbing has taught me that you are forever going to fall; no matter if you are a new climber whose arms are pumped on a 5.6 or a pro climber projecting her 5.15 route, no matter if you are the youngest or oldest, slowest or fastest at what you do in life, no matter how famous, successful, or perfect you seem to be, you are going to fall sometimes. Climbing has taught me to welcome the challenge of getting back up, accept the imperfections and try again. You must be gracious with yourself, listening to your body and your mind. With every step we take, every crux we encounter, every decision we must make, we must move forward. Progress at your own pace but always keep falling, getting back up, and moving forward. Where did you learn to climb and what has that taught you? As a Midwestern climber I initially learned to climb at Devils Lake in Wisconsin but the majority of my climbing throughout the years has taken place at the Red River Gorge in Kentucky. I was born and raised in Chicago and surrounded by metal mountains, unfortunately my access to wild spaces was a bit limited. Midwestern climbers are Weekend Warriors, sometimes traveling seven or eight hours to climb for a day and a half. These trips to Devils Lake or the Red River Gorge taught me to find climbing partners who liked to be silly, try hard, and laugh a lot. They also taught me to enjoy every route that I climbed and enjoy my surroundings even when conditions were bad or the trip wasn't going the way I'd planned. Never take your ability to climb or your access to the crag for granted. We are so lucky to live the lives we lead. What’s one thing you do to give back to the climbing community? I've made it my mission to bridge two communities that are very special to me; my rock climbing community and the culturally rich and wonderfully diverse community that I've inherited as an African American and person of color. Most recently I've been working on creating welcoming and accessible opportunities for communities of color to engage in climbing. I've also been using my background in film and photography as a way to help craft narratives that empower women and people of color in backcountry. We are stronger together and must continue to seek to understand each other. Look for similarities between your brothers and sisters and celebrate the differences. I started climbing late in my life... I was 44 and took a course with my 18-year-old daughter. We were hooked and spent every free moment on the rocks together. At age 58 I was diagnosed with a rare and aggressive form of breast cancer. I underwent 35 rounds of chemotherapy and a complete mastectomy. I was unable to climb for almost 2 years. After healing from surgery and getting some strength back I began climbing with a group of young women who were interested in overcoming a fear of lead climbing. something I had battled with myself. I took to the gym with enthusiasm but was confronted with a "new normal" for my body and my mind. My body had changed post-surgery and in my mind I was no longer invincible... the cancer had brought new visitors into my consciousness: doubt, fear, caution. But I was patient with my body and my mind, with the help of friends, I climbed, got scared and climbed through my fear. I learned to adapt to the physical changes cancer had brought to my body and adjusted. If Tommy Caldwell could do it with a missing finger I could do it without my b**bs! So climbing has taught me to meet and accept my fears, the changes in body and mind that life brings. It has brought me an inner strength that nothing else could. Someday I am hoping to share this with other breast cancer patients.... women on the rocks, using their bodies in powerful ways that they thought they never could again. A sense of humor. Definitely a must on the long alpine routes! Mostly donations to AAC and Access Fund. I hope to organize a Breast Cancer Climbing organization to support women stretching their boundaries and facing fear. Initially because I had to be to compete in the UIAA Youth World Cup last year, but I feel like the club is very important for all climbers to be a part of since they work so hard for climbers, protecting all types of climbing and climbing areas. As a young climber I am very grateful that they are actively protecting all the types of climbing and all the places that I climb at and in doing so, will make it possible for me to continue to climb as I get older. Plus, the AAC donates poop bags all over the place and that is awesome! What does your perfect climb look like? It starts in the early morning, driving up to go climbing with trustworthy, skilled, good friends that know what they are doing. Going up the wall swapping leads, on pitches that are just above our comfortable onsight level, then summiting and looking out over the valley and seeing the car as a little dot in the forest. What do you look for in a climbing partner? I look for a person who knows the ropes and is a good person to hang out with. A climbing partner should be willing to wake up early and go climbing for the whole day, going out in the cold to ice climb, suffering through a difficult route and laughing about if afterward. I am very lucky to have such a cool mentor for climbing who is also my dad, so I was privileged enough to learn at a very young age and have someone who I am very close with to teach me and climb with. Having my dad teach me to climb is truly amazing. I am able to grow in the coolest sport with my dad and it has made us a lot closer. I share my excitement and psyche for climbing whenever I can. I always clean up the crags, leaving them better than when we got there. I pack out my poop! I remember the first time I went to Jackson Hole to climb The Grand with my family. We stayed at the AAC Climber's Lodge, and ended up spending most of the time in the library reading old climbing magazines, and being inspired by old trip reports from the 70's. I realized that there was a vast amount of history in climbing, and now I realize it is important to protect that history, as well as the climbing areas that we climb at in our everyday lives. The AAC plays an important role in doing that and it is why it's important to donate our time and money to this organization. Where did you learn to climb and how did that influence you? Being from St Louis, I learned to climb in Southern Illinois and Arkansas, mostly as a way to enjoy nature and get away from the city. The lush forests in the midwest will always have a special place in my heart. Learning to climb in the midwest has taught me a lot, like how to build fires in the rain... but also that these climbing areas are finite and they may not be around forever. We had only a couple areas to climb, legally, and we cherished those areas and took care of them as best as we could. 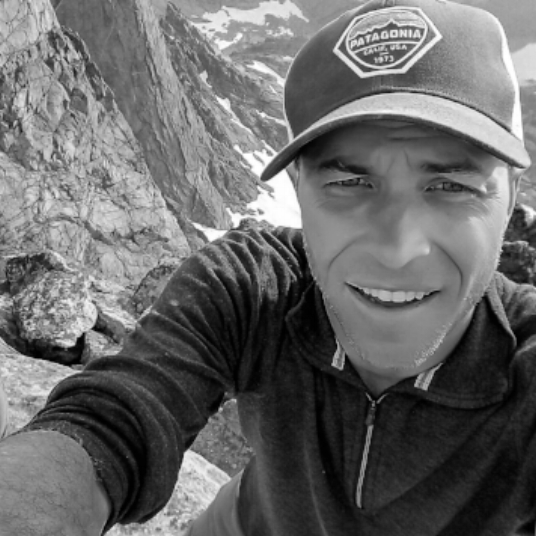 As the owner of a rock climbing guide service, Denver Mountain Guiding, I feel that it is my responsibility to teach people about all aspects of climbing, from how to belay to picking up trash. It is the stewardship that is going to make climbing sustainable here on the Front Range of Colorado. I am also able to donate my time though volunteering my time guiding for the AAC. I am a member of AAC because of their support for conservation, advocacy, education, and research. The more we educate ourselves about the broader context of climbing, the better we can better protect and conserve the places we care about. My membership allows me to apply my Ph.D. toward my passion. 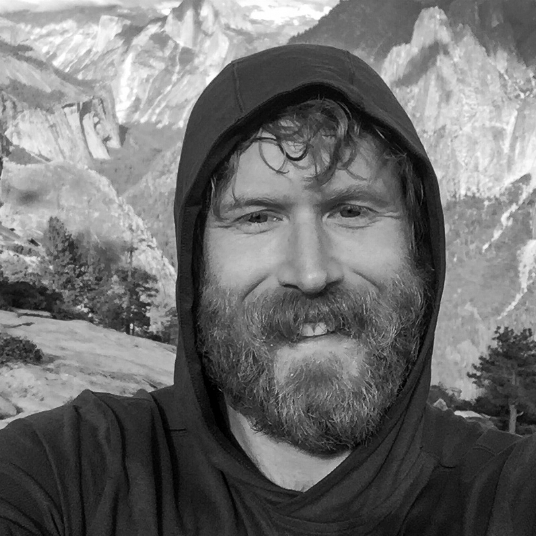 I climb for mental clarity, challenge, teamwork, and connection to place and the environment. Climbing allows me to sharpen my mind for the work that I do during the day. American Indians & climbers have had significant conflict over climbing of sacred landmarks in historical territories of the tribe. These conflicts still exist today and many have yet to be resolved. I am a climber and I am from the Navajo Nation. I see these identities as an opportunity to use my membership is to advocate for a climbing practices and cultures that respects these sacred areas. I believe that taking steps to actively engage with resolving these historical conflicts are now more important than ever. The current threats to public lands climbers and tribes find themselves on the same side of protecting areas that are rich in climbing and cultural heritage. I believe that it is an opportunity to build bridges. Growing up as an awkward and introverted person, I was always afraid to try new things, push myself out of my comfort zone, and especially meet new people. Rock climbing has become an outlet for me to do all of those things at once while taking me to places I never thought were possible. After years of feeling out of place and like I don't belong, I finally feel like I've found "my people", and I have never been happier. I love how a quick exchange of words at the gym can turn into a lifelong climbing partner. The fantastic friendships I've made, the incredibly beautiful places I've traveled, and the newfound confidence I have will stay with me my entire life and that is why I love climbing! I learned to rock climb in Minnesota, where there isn't a huge climbing community and there aren't a whole lot of places to go climbing outdoors (not near Minneapolis, anyways). Despite that, I had a solid group of coworkers who would take me climbing outdoors about once a week and show me the ropes. Two months after stepping into my first pair of climbing shoes, I said goodbye to everything and everyone I had known my entire life and moved out West where the climbing possibilities are endless. Learning to climb in the Midwest really made me appreciate the incredible access we have to the outdoors and the climbing community out West! Climbing has shown me that there's more than one way to approach or solve a problem, and that everyone has something valuable to teach and to share, no matter their experience or level of expertise. The trifecta: a delicate balance of patience, encouragement, and goading (used sparingly, when I'm being a weenie). Also, I think that the best partner is someone that you share goals with, someone who understands and accepts both your personal limits and their own, and of course, someone that always shows up when they say they will. Community, education, and inspiration are the three main reasons I have been an AAC member for the past five years. I feel more connected to the group by attending meetups, stewardship events, and through digital connections with other members promoted by the AAC. The Alpine Club promotes my intellectual development as a climber with the publication Accidents in North American Mountaineering, and with educational campaigns to develop universal standards in climbing systems to promote safety throughout our community. I derive inspiration from the stories in the AAJ and the opportunity to dream up big objectives through the grant opportunities offered by the club. The quiet moments in the sun on a belay ledge looking over the endless utopia of the Canyonlands. The taste of a burger in my greasy palms at the Mobil after a day of pinching granite knobs and splashing through swimming holes in the Tuolumne river. Sipping a beer on the bumper of a friend’s car in the parking lot of the Tennessee Wall while she regales us with comical anecdotes of her misadventures. Looking back at my belayer who smiles and pays out slack, feeling the reliance on one another before tiptoeing up a delicate pitch on El Capitan. Because I know that I get one life to experience and I want to take as much of the world in as possible while am here. I want to breathe life into every moment. For these moments and thousands of others, that is why I climb. I like to climb with everyone because each person has something new to teach me. Learning does not require that another climber be stronger or more experienced than me. Strong partnerships provide great opportunities for growth, but I also cherish the times with less seasoned climbers who get a radiant thrill from the experience and remind me of why I climb in the first place. The optimal climbing partner is someone whose stoke gets me excited to push past my comfort zone and whose charisma inspires presence in every infinite detail of the process. I see community as one of the most important and value parts of climbing. It allows us to share inspiration and knowledge, to find likeminded partners and to try hard in remote places knowing that we are not alone in our pursuit of the vertical. The AAC is our community organization in the US and they do a great job of filling that role. That is why I am a member. I see any given route as a culmination of experience, physical training, exploration and mental preparation. Whether on an unclimbed alpine face in the Karakoram, an overhanging mixed route in Canada or a splitter in Yosemite it is the moments of calm composure in challenging terrain, when all of those four elements come together, that keep me coming back and keep me psyched. At this point I have spent more time climbing than doing just about anything else in life. And in turn pretty much everything in life has turned into an analog of climbing... Big work contracts are just big expeditions, relationships are partnerships, long hard days of work are long days in the alpine... and to be honest, that perspective has worked our pretty well. So you might say, climbing has taught me much of what I know. I appreciate that AAC has been focusing more on education and diversity of its members. Responding to policy issues of the day, such as national parks has also been a great undertaking I have seen AAC pursue successfully. I began learning rock climbing from the AAC Section Chair in Washington DC and it grew from there to eventually submitting the Seven Summits. The continued support of the AAC and its members has inspired me, guided me, and helped me achieve my goals. I volunteer as the social chair for the Washington DC Section, organizing events for AAC members and helping to have AAC presence in the local community. I enjoy giving back to the climbing community what AAC has given me as a climber. I used to just say "rescue insurance" when people asked this question and leave it at that, but in the last couple of years I've gotten to know so many amazing people and formed so many strong friendships and partnerships through the AAC and the climbing community that you could completely take away all of the rescue benefits (but please don't!) and I wouldn't even give the slightest consideration to cancelling my membership in what has become almost like a family to me. What does your ideal climb look like? I learned basic climbing movement at my home gym back in the flatlands (shout-out to Climb Time Indy! ), and a lot of my early outdoor experience with gear and rope systems came on a few early trips to the red rock country of the American Southwest, but I consider the Cascades to be my home range. I'm definitely of a firm belief that the Cascades are home to some of the best alpine training ground in the U.S., and I never would have felt confident venturing into the big mountains elsewhere or into vertical ice climbing without a few seasons’ worth of experience on those peaks. I joined in 2008 at the Mount Washington Valley ice festival because I saw how the AAC brings climbers together. The club promotes both aspiring climbers and helps the truly dedicated full-time climber. Through the club, I’ve gotten to the 2012 Yosemite Valley International Climber's Meet, won a Live Your Dream Grant to climb Denali in 2015, and was part of the AAC delegation to the 2015 Alpine Club of Iran and Armenia exchange in the Caucuses. Besides rubbing elbows with legends like Lynn Hill, Mark Twight, and Fred Beckey at AAC social events like the Annual Dinner, the club has connected me with some truly wonderful people to share a rope and draw squiggly lines with in backcountry powder. Fun. 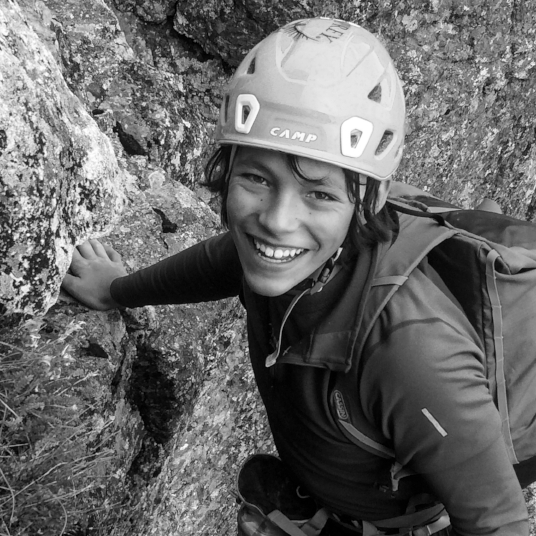 Someone who loves traditional climbing, doesn’t mind long approaches, likes ice climbing, and would consider a full on hard mountaineering objective, complete with a ski approach, technical rock and ice climbing, and a technical ski descent. I love climbing with both men and women for different reasons. Women for the sisterhood, men for the different qualities they bring to the partnership. I also love climbing with beginners, because they remind me of that self-discovery and enthusiasm for climbing. It helps me refresh why I started climbing and to keep setting new goals. How about two? I’m on the board of directors and am a volunteer expedition guide for Ascend: Leadership Through Athletics, a US-based non-profit that empowers Afghan women through mountaineering. Their stories are incredibly inspiring for anyone who has lived through circumstances beyond their control and how they persist in creating a better community and better connection to each other. I also lead REI’s Outdoor Programs for the co-op Sierra market. My amazing team of 25 guides host classes and experiences to help people obtain the knowledge and skills to get outside responsibly and confidently. We also partner with nonprofits and like-minded groups to grow the outdoor community and support creating access to public lands for climbing, hiking, and other human-powered adventures. I am an AAC member so I can meet more climbing partners, advance my techniques, and climb with like-minded individuals. I climb for the mental and physical experience it offers me. When I am on the rock life slows down and I feel at peace. I become more aware of myself and focused on the present. Through each climbing session I discover more about myself: how I react to failure, how I act during a difficult section, and how I can improve myself in this process. Climbing has helped me cope through the time of my mother's sickness and passing. Routes made sense, they were problems I could solve, and cancer I could not. Contorting my body in different ways, being creative, & ascending a problem through specific movements is fascinating to me. Some routes demand grace and others demand strength. My favorite aspect of rock climbing is being able to constantly challenge myself mentally and physically in order to reach my goals. Every route has something to teach. The motto is to always challenge yourself in order to grow and become the best and most versatile version of yourself. The AAC has noticeably become even more involved in protecting climbing landscapes. As times call for more environmental protection and advocacy, the AAC adapts and takes action. They have also become one of the best resources for climbing education and safety. The AAC is an incredible resource for every outdoor activity, from climbing education and current events to lodging, gear discounts, trip planning, and meeting new friends. Nowhere have the chasms of my mind been more opened, challenged, and fulfilled than in silent suspension between earth and atmosphere on the mountains, cliffs, and glaciers that nature provides us to explore. Like Thoreau, I want to live deep and learn what life has to teach, and whether it proves to be mean or sublime, I want to know it by experience. I used to think that the most beautiful climbs were perfectly aesthetic overhanging lines where there were just enough holds that the climb was barely possible for me. Now I am more fascinated by alpine climbs where harsh conditions, fractured rock and ice, and exhaustion can play just as much of a role as the climbing itself, and where epic experiences are a sort of indescribable reward. As I have gained more experience and as I keep hoping for more free time, I have come to really love and appreciate every climbing experience, from simple bouldering excursions to incredible alpine adventures. I started out as an AAC member as a way to give back to the community. As I matured and gained more experience climbing, I recognized the value of my membership meant a lot more than just a way to donate my time and energy. I have continued to stay a member because the AAC brings the community together as we all have similar passions to be outside. The community aspect is particularly pertinent due to the current access issues we're facing in the US; furthermore, a community, such as one fostered by the AAC, strengthens the voice we have to ensure not only we can climb on these lands but so can generations to come. I climb because I have a way to feel when I can’t feel. I've dealt with some form of mental illness for the past decade, and when my bipolar or eating disorder leave me feeling numb, I divert to climbing to help me experience ALL emotions: happiness, anger, frustration, sadness, excitement. Climbing helps me express an infinite amount of emotions, but all of the emotions combine to make me feel whole again. Climbing helps me feel the emotions that cease to exist with anything else I partake in. Climbing is my way of feeling. I learned to climb in a gym when I was fifteen years old. Originally I played soccer, but one too many concussions later left me yearning for a new passion since contact sports were said and done. I found myself outside after six months of climbing in the gym, and this was when I knew climbing would stick with me for my lifetime. Although my passion for climbing is outside, learning to climb in a gym has given me an appreciation for the limited opportunities I get to be outside since I live in Chicago. In addition, it has inspired me to hopefully inspire others to get outside and learn to love something that genuinely can always get you outside of your comfort zone. *In March of 2018, Savannah passed away in a climbing accident. She is dearly missed by AAC staff, friends, and the climbing community. Read more. I climb because it is my passion. It is not what I do, but who I am. It has defined me since 1972. Climbing has taken me to places I would never have gone otherwise, not just physically, but emotionally, spiritually and mentally. Climbing strips away the interference and forces you to focus on the moment; to live in the present with commitment and passion not often found or required in life outside of the vertical world. Climbing has taught me that life takes practice, patience and perseverance; and even then, success is not guaranteed. I believe it's not about how many climbs you've done, but how you did those climbs. So too in life; it's not just about being alive, but living with passion and integrity.